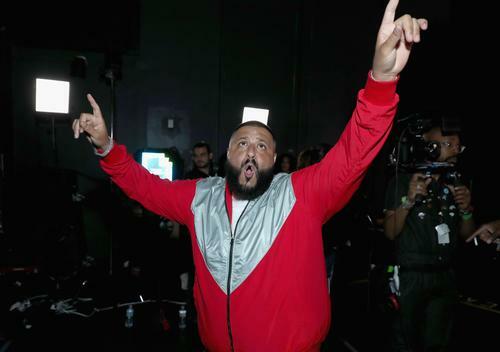 DJ Khaled Infuriates Fans With Vacation "Snaps," Cancels Festival Appearance - Pop It Records - NEW MUSIC EVERYDAY! The Wireless Festival in the UK had to cancel DJ Khaled headline performance scheduled for 8:50 in the evening, when fans started voicing their displeasure with the American deejay. What seemed to have caught their ire, were nonchalant Snapchats documenting his family vacation. Khaled was hours away from performing a gig in the UK, so discerning fans were able to pick up on the error before Festival organizers could be held accountable. The Festival was thus forced to make an announcement Twitter. The post also included a promise to deliver "something special that won’t disappoint..." in place of Khaled's bungled appearance. Khaled cited travel issues as a reason to continue his full-time obsession with "infinity pools." The hip hop mogul and his family have been vacationing in Mexico where "infinity pools" are also readily available. One Twitter fan couldn't make out DJ Khaled's exact location, but he sure as hell knew Khaled wasn't at Finnsbury Park where the gig was being held. I'm not sure if I should be concerned that people are paying hard earned money to witness DJ Khaled sets? Naturally the DJ Khaled cancellation gave rise to rumors Drake would take his place, since the Canadian rapper is currently stationed in London. For what it's worth, Khaled wasn't the only hip hop figure to pull out of contention.